B&A Hydraulics offer a huge range of bolting products to suit many applications from a wide range of manufacturers. As a renowned supplier to both the offshore and onshore oil & gas industries B&A Hydraulics aim to always supply customers with the most appropriate products and solutions to satisfy their needs. 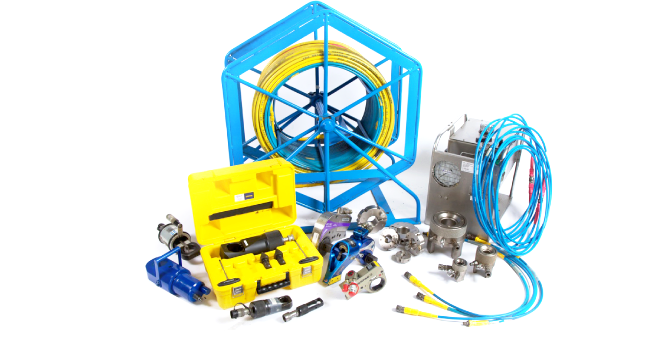 B&A Hydraulics sell and rent high pressure Hydraulic Nut Splitters, Torque Wrenches, Flange Spreaders, Titon Sub Sea Tensioners along with all the appropriate hydraulic hoses, connections, calibrated gauges and pumps to operate the equipment. This again covers a broad portfolio of equipment required by the oil & gas and service companies today. Its all about teamwork to achieve a result so don’t hesitate to contact B&A and let us be part of your “TEAM” – “Together everyone achieves more”.